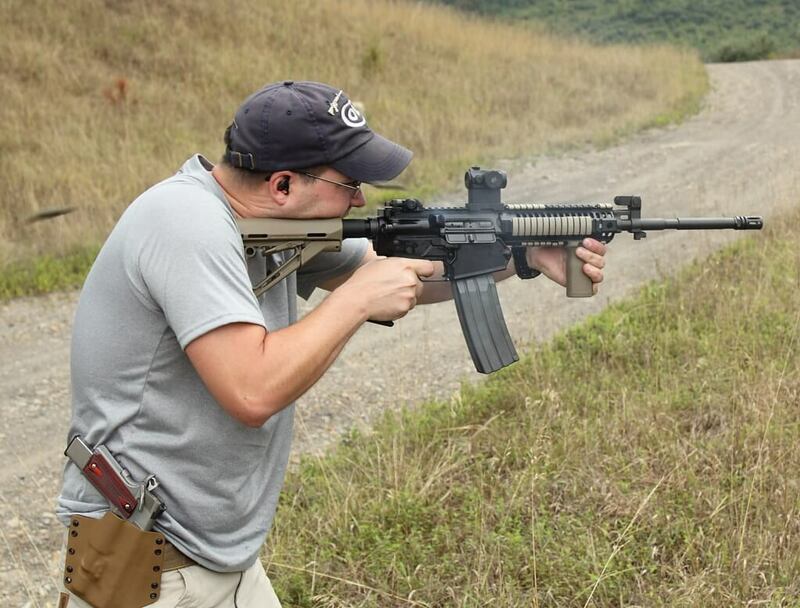 Since I have already written about the 901’s accuracy and long range precision, I wanted to talk about how the rifle handles, how it feels in recoil and in rapid fire and how it works out while wearing gear. The first thing is how the gun feels in rapid-fire drills and “running and gunning.” The 901 is in .308 winchester, a round that does not let you control the gun like a 5.56 will. The carbine does not come with a muzzle brake, and a lot of people seem to worry it will be hard to control without real effort. The 901s recoil to me, feels very close to a light weight 6.8 carbine or a 7.62×39 AK with a underfolder stock. It is not bad at all. As you can see in the action shot above. The recoil of the gun is very light for a 308. The gun is still on target while a case is in the air. My stance is not any kind of aggressive combat stance in that picture since I was shooting casually to see how easy the recoil would be. After a little warm up with the 901 to see how it felt I started out with some triple and double tap drills at 20 yards with the weapon using my T-1 red dot. 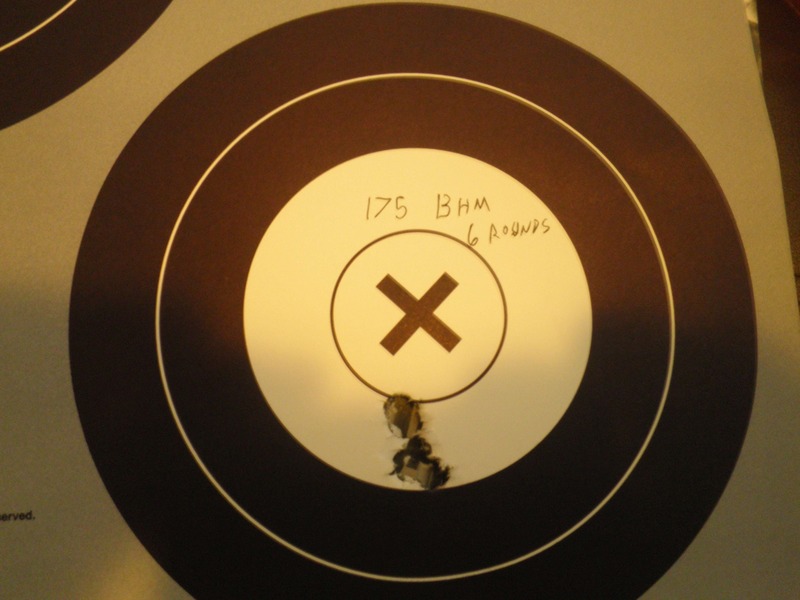 During rapid fire I was able to keep the majority of the double and triple tap shots in the CNS area. 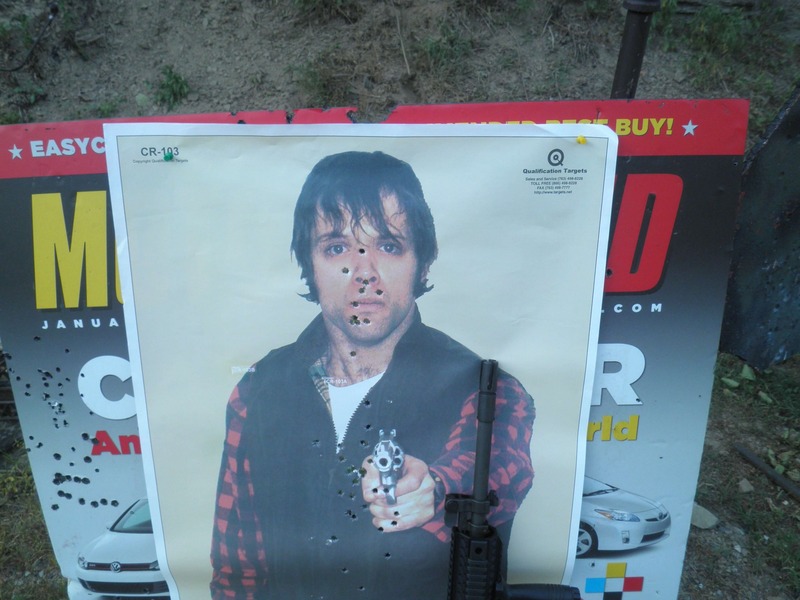 Notice the shots in the face and high chest area of the target above. All shots fired were full-power M80 ball surplus. The gun was very easy to control. If I had slowed down, the shots would obviously tighten. I have to say, a vertical fore grip does give even more control and allows for some very rapid handling of the 901 and improves follow-up shots. This is not a real revelation but the VFG has fallen out of favor lately. The slightly increased recoil of the 901, while not serious, does make a VFG handy. 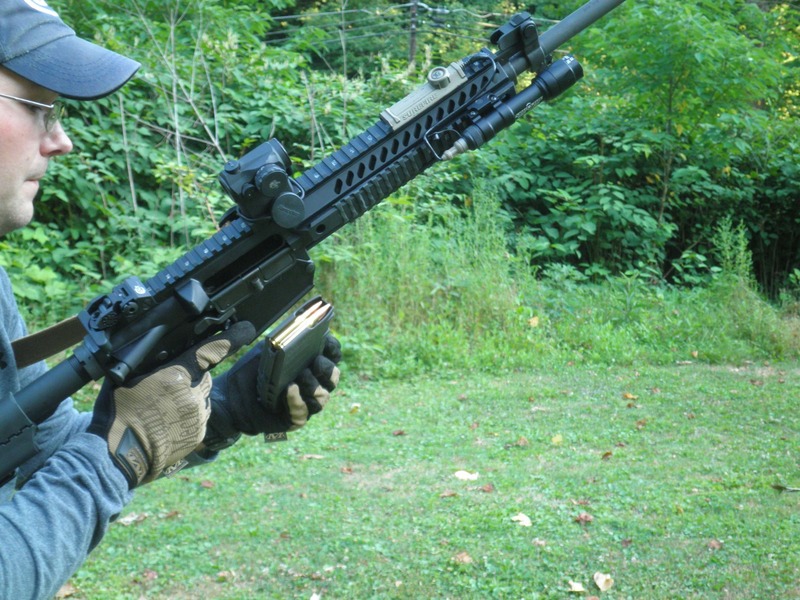 Fast and easy reloading is accomplished just like any other AR. Thanks to the ambi controls of the 901, this is sped up nicely. Ambi controls, while not something you have to have, are a nice feature. 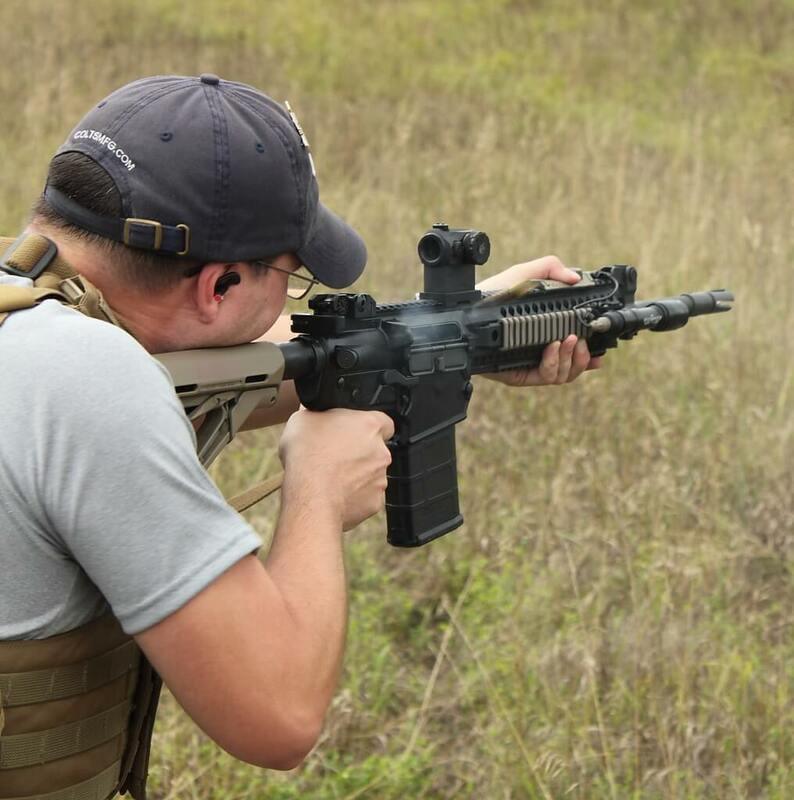 Looserounds believes ambi controls are going to eventually be standard on every serious fighting rifle. The 901 balances very well. A lot of people will complain about the gun weighing 9 pounds and more with gear added but the balance of the gun is so nice you do not notice the weight. I worked with the gun all day while shooting several times and never felt tired or like the gun was dragging me down. Others who have shot it feel the gun is very controllable and balanced. Most have been surprised by how smooth the recoil of the carbine is. The Colt is very fast to the shoulder form low ready making fast hits on multiple targets as slick as satan’s lawyer. The vortex flash hider tames the muzzle blast just like you expect the well-respected FH to do. 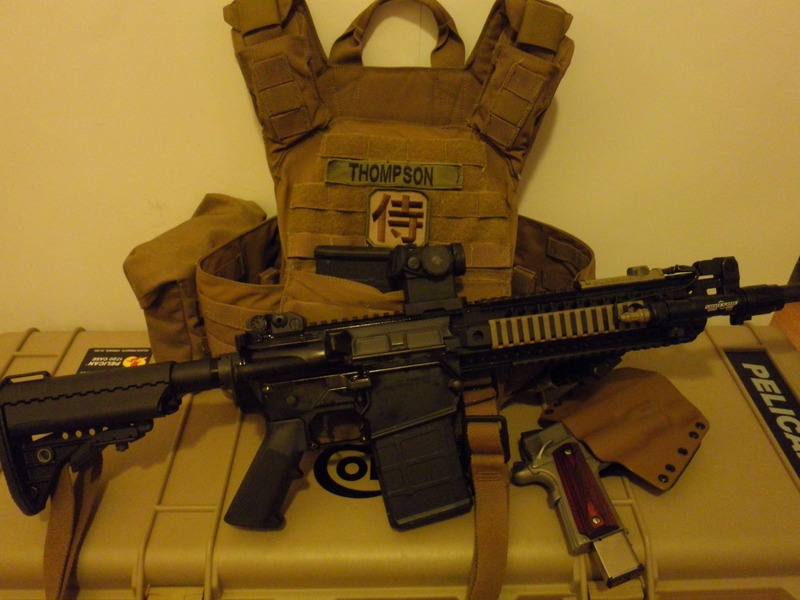 I tested the Colt while wearing my plate carrier to see how everything felt. I did not expect any surprises or let downs and I was right. The 901 is like any 556. 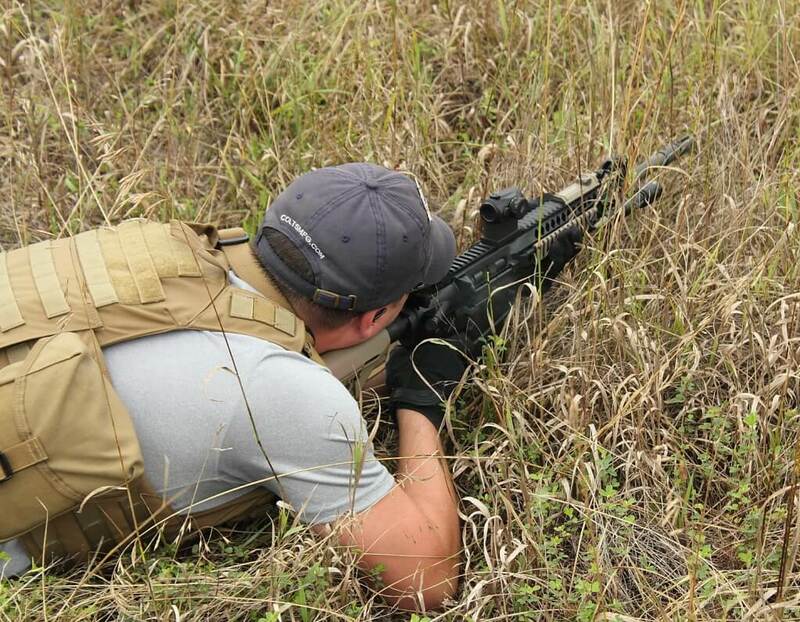 Firing the slayer while wearing plate carrier in non-standard and standard positions was typically easy and handling was slick. I swapped out the factory stock for a Magpul CTR to see if a lighter stock made felt recoil more noticeable but I could tell no change. 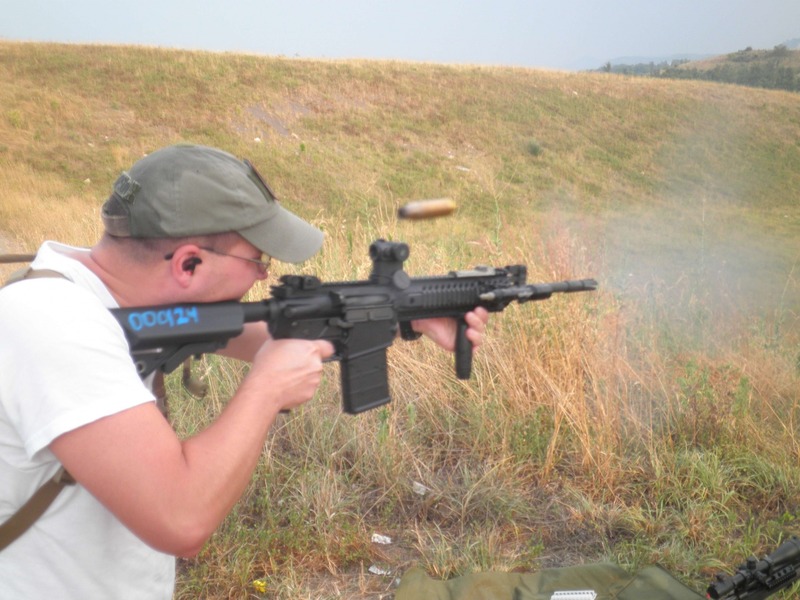 The lower with 556 uppers used was also something with no surprises. After firing multiple surefire 60 round mags and a variety of other magazines through the upper/lower I found the gun had heated to the point gloves were needed. The T-1 mount was too hot to the touch yet the gun worked just like it was intended. 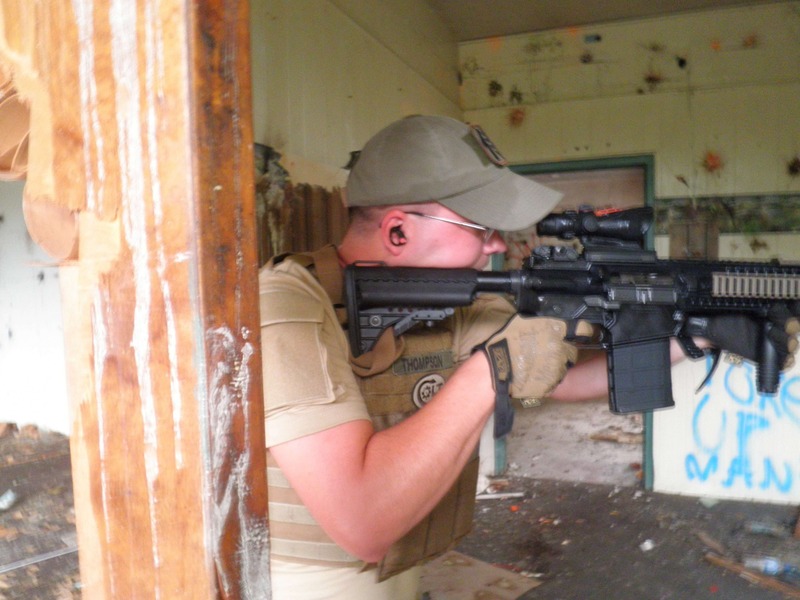 After high round count shooting and testing the rifle with normal drills, I took the gun for a little urban use to see how it handled indoors in a more cramped situation. Even while wearing your gear and making way through small rooms and hall ways, the 901 did great. 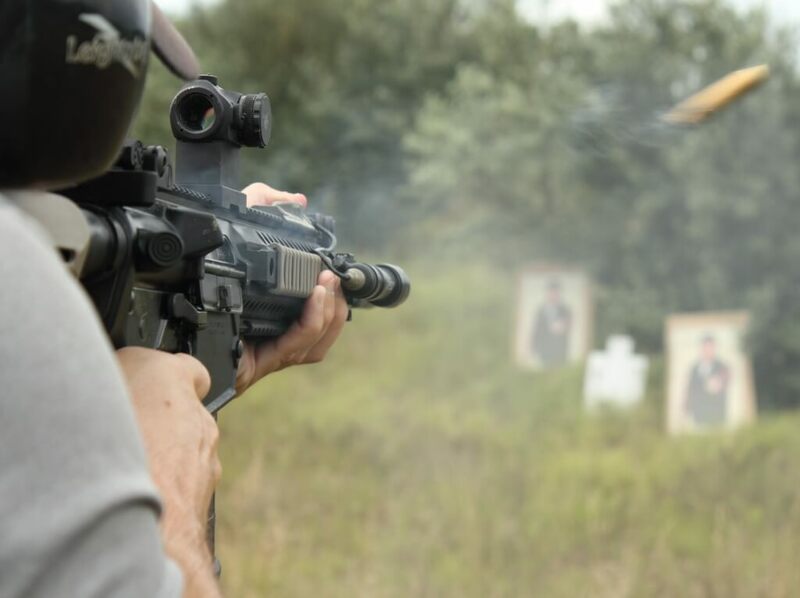 The 308 round is not a great choice for home defense if you are worried about over-penetration but it has appeal to a lot of people when it comes to knocking through some types of walls and structures in a more violent urban environment. As of this writing I have over 2200 rounds through the 901. I did not clean it when I got it and I did not clean it between shooting for groups. I did not even put lube on the BCG until it burned away. In all that time not one malfunction appeared. The gun did not run sluggish or gritty. The only thing I noticed was the sludge from carbon and oil ruined my Tshirt. I have taken the gun apart and noticed very little wear on the parts you expect to see wear on. This is not a big deal because most quality ARs will hold up this well, but this is a new system not yet as proven as the M4 or M16 series so I think it is important to take note of how reliable it has been. Even though I have gotten it hot enough to feel through gloves. 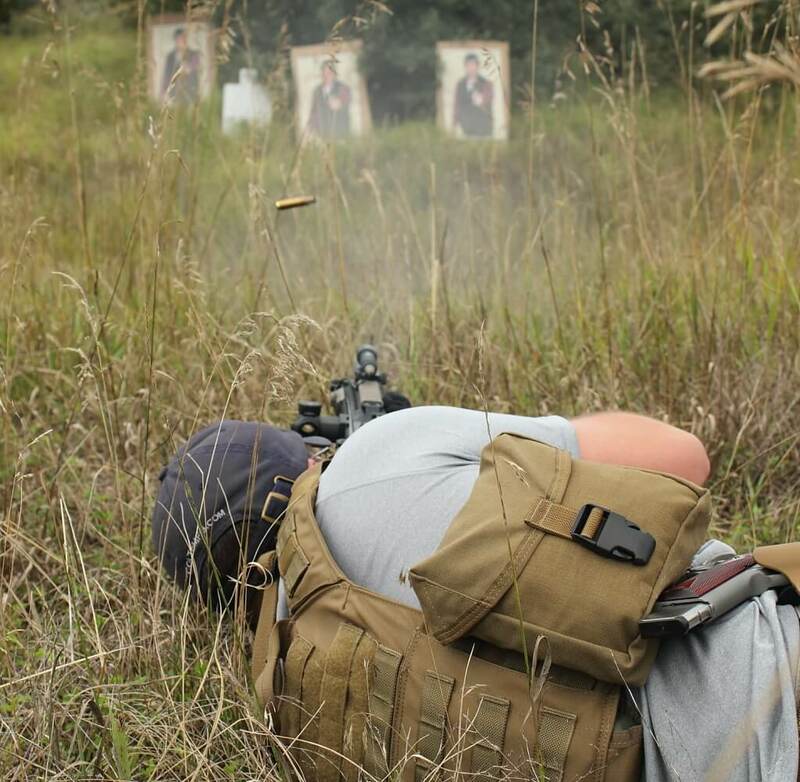 After leaving the lower as dirty as it was, the 556 uppers were tested and ran like a swiss watch. Most of the ammo fired through the gun was federal gold medal and M80 ball with other match ammo brands used. The federal and M80 being the most used by far. The only ammo not tried yet was the cheaper Russian brands. After all of the harsh firing schedule abuse I could manage, the rifle still shot well enough for “recce” or DMR work and not break a sweat. The 901 is showing itself to be one of the truly most versatile Ar type rifles we have seen in a long time. It is not a dedicated sniper or CQB gun, but if used in those roles it can be employed effectively. In the next parts there will be some reports on how it is doing with a wider variety of optics and ammo while in Florida heat and humidity while Loosrerounds testes it further and if we are lucky we will try it out on wild hogs. Fingers crossed we can pull off a successful hog hunt.